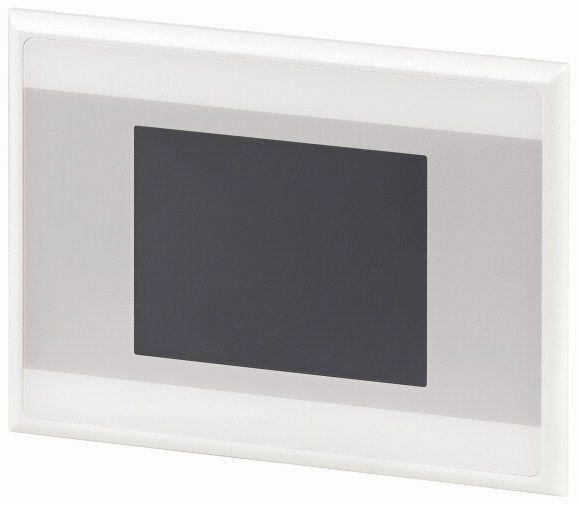 The XV-102 is the compact, high performance and intelligent micro panel solution, offering full graphical displays and maximum power at a highly competitive price. 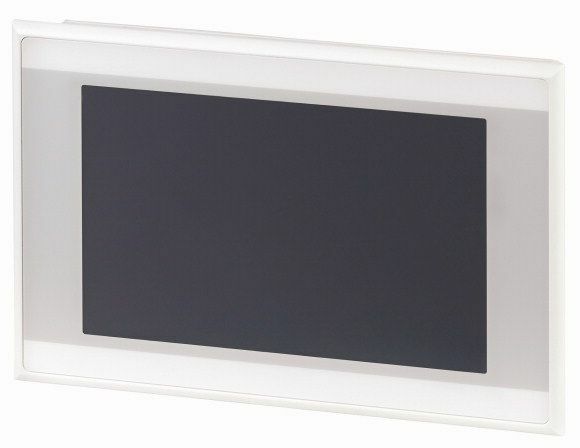 This model is available in 3.5”, 5.7” or 7” widescreen TFT display with resistive touch screen. The XV-102 is the ideal solution for automation environments where space is an issue. It provides machine builders with a compact operating device that offers considerably more functionality than any conventional text display. 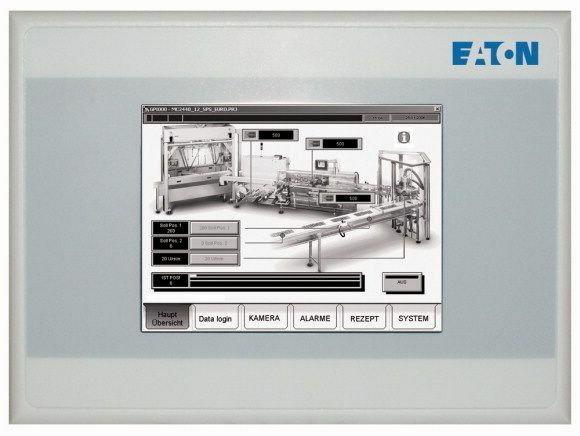 With the HMI/PLC, the most modern IT technology merges with the classical PLC and HMI technologies. 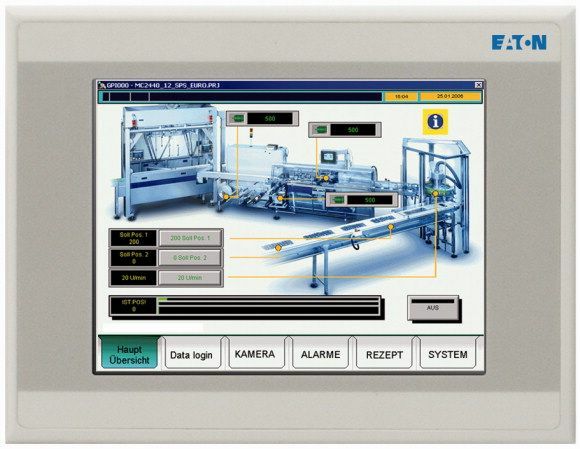 Control, visualization and data management tasks together with modern networking features are combined in one HMI/PLC device. 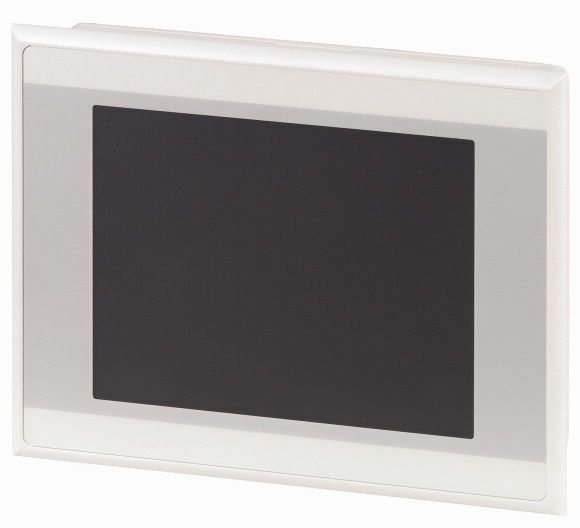 The touch display controls of the XV-102 series facilitate Lean Automation solutions with simple, straight-forward concepts and few components. SmartWire-DT connects all areas of the machine: From the operating level through to the visualization and control devices, from the main switch right down to the sensors and actuators. Standard fieldbus components can also be connected via the CAN and PROFIBUS DP interfaces. All devices feature a web server.